This was an interview project I did in back Jan 2018 for Pacsun. 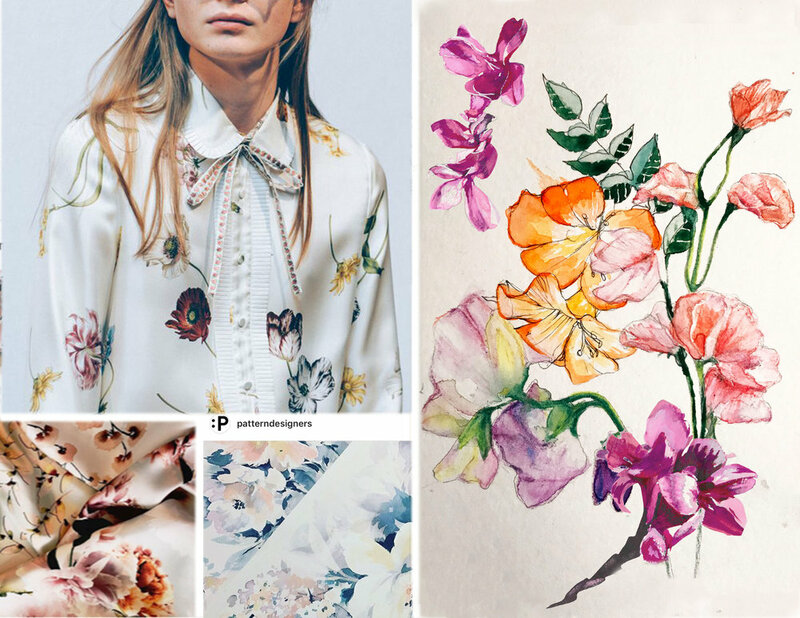 The project entails creating a moodboard, color palette, four prints, and one embroidery. I started out doing some watercolor & ink sketches in my process book. I looked on Pinterest for inspirational images that could portray the type of aesthetic I was l going for. I scanned the sketches and proceeded to turn them into repeats in photoshop. I found images of the models on different online stores, and filled their outfits with my prints. I would definitely come back to watercolors, and practice more when it comes to florals. Overall, I was very pleased with how everything came out.